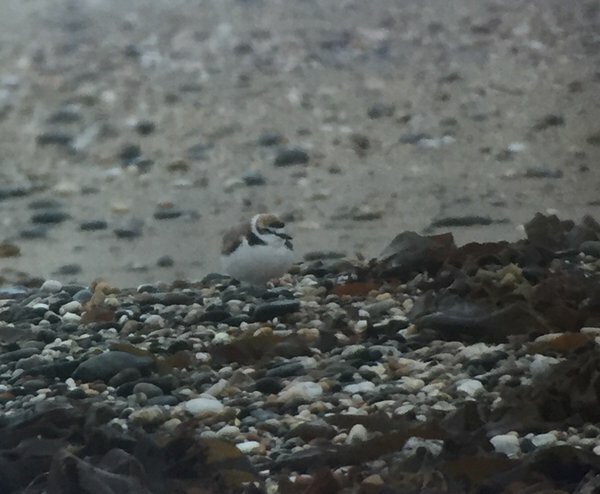 John Hawkey found a male and female Kentish Plover on Friday 22nd April in overcast conditions on the beach. A small contingent of Cornish birders assembled in the evening and got decent views in deteriorating weather. These two are the 69th and 70th records for the county. 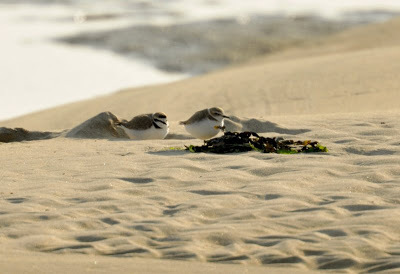 While this sounds like a healthy number, Kentish Plover have become decidedly rarer in recent years. I'll stand corrected but I think this is the first sighting since another pair were found in the same location on 10th May 2012. Another pair were found at nearby Long Rock beach on the 25th May 2009 and yet another pair were found on Lelant Saltings on the 19th April 2009. 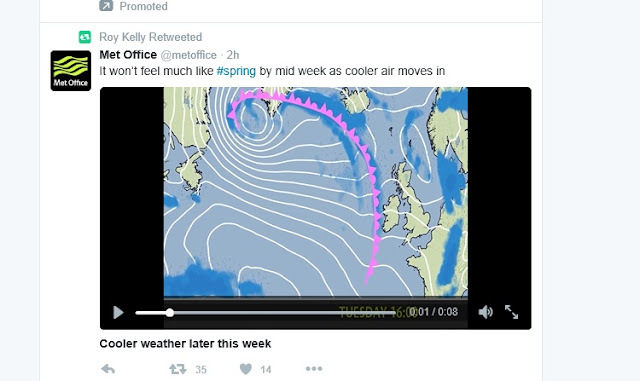 The majority of records in Cornwall occur in April and May. 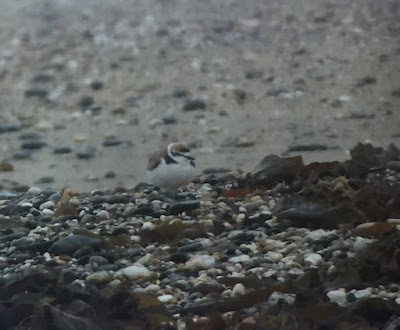 Completely unrelated, but of interest, was a colour ringed Kentish Plover seen at Rye Harbour (East Sussex) on 25th-26th March 2013 and was found to have come from breeding colony in Schleswig-Holstein, the northern most state in Germany. The bird was ringed there in May 2009 and was seen again in the general area the following year. With the change in weather this week to a south easterly bias, the first important "southern"rarity of the Spring was found at Little Treleaver, Lizard by John Foster. A singing male Iberian Chiffchaff was found on the 11th April, corresponding with another Iberian Chiffchaff in Shropshire. The Cornish bird is the county's 8th record. 2000: The first Cornwall record was on the 12th May 2000 at Dunmere Woods, Bodmin. 2004: A singing male was found at Windmill Farm in May 2004. 2011: The third was at Kenidjack on 24th April 2011 and again at Nancherrow Farm on 28th April. 2011: Another singing male was found on Military Road, Rame from 11th-15th May 2011. 2012: A singing male was found at Kenidjack by the engine shed on the 28th May and was seen by many observers through to mid June. 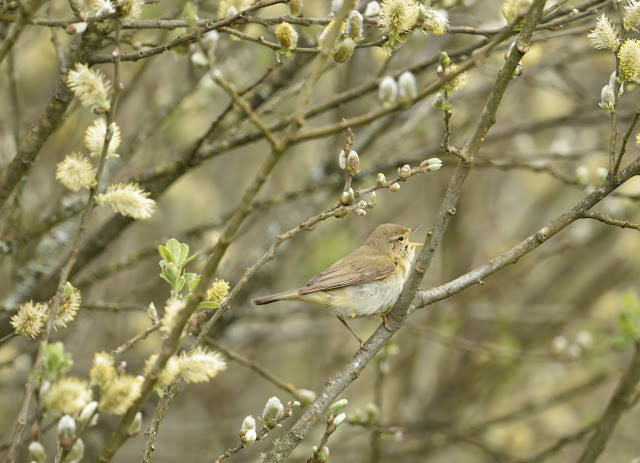 2013: A singing male Iberian Chiffchaff was observed near Soap Cove, Kynance, at Jolly Town Farm on the 20th April 2013 and sonograms recorded. Another male was singing 100 yards south of B3315 at St Loy in woods by the public footpath, though this record hasn't been submitted. 2016: A singing male at Little Treleaver, Lizard 11th April. To date there are 37 records in Britain and one in Ireland. The species (Phylloscopus ibericus) is endemic to Portugal, Spain and North Africa, west of a line stretching roughly from the western Pyrenees via the mountains of central Spain to the Mediterranean. Video of the Little Treleaver male singing, courtesy John Chapple. Cornwall still continues to deliver mega rares this weekend. Nigel golden b Wheatley stumbled across a white morph Greenland Gyr on Sunday at St Just, only for it to be relocated and perched on the moor at Woon Gumpus. I managed to see it in flight here, but Brian Mellow and Richard Augarde also saw it at much closer quarters near Men an Tol. This is the 17th record for Cornwall, the majority occurring in March to April. 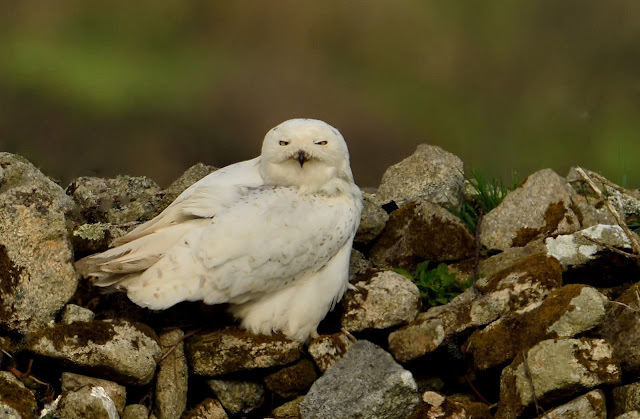 If that wasn't cool enough, Nigel also found next day a sub adult Snowy Owl at St Just. This is just the 3rd record for the species in Cornwall. The previous records are one at St Columb in 1948 and a well observed first winter bird at Zennor from 21st December 2008. The weekend just gone also produced a summer plumage Black Guillemot in Falmouth Bay, the UK's first for the year Woodchat Shrike at Windmill farm, Lizard plus a Hoopoe at Polgigga. In addition, the long staying Pacific Diver was seen on sat 2nd April in Mounts Bay with the Hudsonian Whimbrel found again at Boat Cove on Sunday 3rd. If anyone finds the Franklin's Gull on the Camel could they let me know? Snowy Owl at St. Just - image kind courtesy Sam Williams. The weather chart below gives a hint of where the weekend's birds may be coming from.